As the trend of geographical mobility of employees continues to develop —making BYOD and mobile devices part of the employee’s daily “business kit” —companies need to adapt the way they are managing their resources and interacting with their employees. In the past few years, organisations have generally been under cost reduction pressure, creating challenging budget management and employee retention issues that could be greatly assisted by using new enterprise solutions. New generation enterprise software not only helps the business, but the employee too. For years, finance teams have had bad experiences with enterprise software, especially ERP solutions. A recent study conducted by Telsyte revealed that the most common reasons why enterprise software is so unpopular include: traditional enterprise solutions are too inflexible, too complex, don’t play well with other applications, have old dated user interface (especially on mobile), and are not well aligned with business processes. There is also no seamless transfer from one device to another (Telsyte’s report mentions that while more than 80 percent of Australian businesses have staff working remotely or on the go, fewer than half support enterprise software mobility). More unforgivably, enterprise software typically has ugly and outdated user interfaces in an era where people expect software to be simple, easy to use and beautiful. However enterprise solutions, which have received a bad rap amongst finance teams - sometimes even increasing their workload - can now revolutionise employees’ lives. Thanks to the arrival of mobile technology, software vendors can design more flexible solutions, accessible from everywhere and any device, very easy to use, and with beautiful, intuitive and consumer-oriented user interfaces. Already, many enterprise vendors have made their software available via apps on mobile devices. But there are limitations - these apps offer restricted functionality, only allowing users to complete simple tasks such as approvals. They are not yet sophisticated enough to enable users to complete back office tasks such as a pay run or rates run on their mobile device. To truly future proof businesses, enterprise software needs to be available on mobile devices - and not just for casual users. It’s not simply a case of shrinking down the software to fit a mobile screen, or providing limited functionality. Rather, enterprise vendors must be able to offer their complete solution on both mobile devices and traditional desktops and laptops, supporting flow from one device to another as users switch throughout the day. To support this shift to a mobile-first world, enterprise solutions need to be completely redesigned to support the simplicity of mobile devices, and offer consumers the user friendly experience they have come to expect. As customers increasingly experience the power and simplicity of web search engines such as Google in our personal lives, the consumerisation of IT sees the expectation of the same power and simplicity to be available in the workplace. By redesigning enterprise software with mobile technology at the core, once inefficient, clumsy processes can be quick, secure and agile. The simplicity of mobile user interfaces makes the application easy to use, so staff can actually take advantage of self-service functionality. Just as we have seen cloud computing be an enabler for IT departments to become more strategic, the availability of all enterprise functions on smart mobile devices will similarly empower finance teams to become a more strategic function. Operational teams can use their time analysing, forecasting, providing better information and finding solutions to improve productivity and reduce costs. With geographic mobility and use of mobile devices expected to explode in the next few years (according to the latest Cisco’s VNI report, Mobile data traffic will grow 6-fold from 2014 to 2019, a compound annual growth of 41%), the availability of enterprise software on mobile devices will become a necessity. Not only can next generation enterprise software can help businesses to cope with costs challenges, it can also greatly improve their productivity, and comply with the employees’ new ways of working. 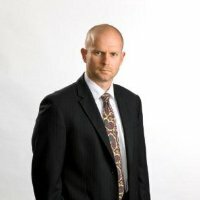 Peter Gill is TechnologyOne’s Group General Manager for Corporate, Government and Health/Community Services. Peter is a qualified CPA who has been with TechnologyOne more than 20 years. He has extensive financial, business, strategic and software experience both in his previous employment as a Financial Controller and through his various roles at TechnologyOne. At TechnologyOne, Peter has worked with customers in Australia, New Zealand, South East Asia and the UK through Consulting, R&D, Support, Sales and Marketing. His breadth of experience and extensive product knowledge uniquely places Peter as an accomplished thought leader in the enterprise software space. We participate in only eight key markets: government, local government, financial services, education, health and community services, asset intensive, project intensive and corporate. For these markets we develop, market, sell, implement, support and run our preconfigured solutions, which reduce time, cost and risk for our customers.